The 13th Annual Winter Art Walk event will include open studios and gallery exhibits highlighting the work of outstanding artists who live and/or work in Jingletown, a recognized arts districts in the Bay Area. Featured in the annual event will be local artists and gallery shows displaying art in our unique and walkable neighborhood. The annual winter open studios event highlights the work of artists who live and/or work in Jingletown, an artist’s district located between the Park and Fruitvale Street bridges bordered by the estuary separating Oakland from the island of Alameda. 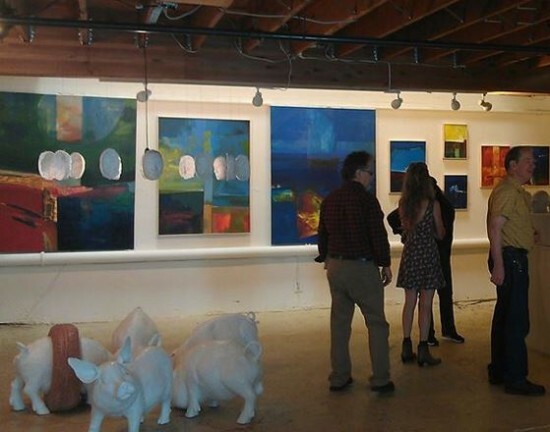 Jingletown has a number of galleries as well as many art studios of outstanding artists who are living and working in one of the most established arts districts in the Bay Area.